Nearly thousands of people protesting in Islamabad against PM Sharif to step down the post as he has been charged for the fraud of vote in last year’s election which he won. Former Cricketer turned politician Imran Khan led thousands of people with Tahir-ul-Qadri to protest against Sharif in Islamabad. They were demanding to put forth the Prime Ministership and let’s have reelection. So Pakistan is facing political rivalry. They gave the name to this rally as “green revolution”. Nearly 60,000 people took part in these rally. Security has also been tightened. When we tried to talk to the Sharif about the whole matter he told to take serous action against the people but there was no sign of step down. One of the officials told that Pakistan is not a banana that few thousands of people protests and the PM would resign. 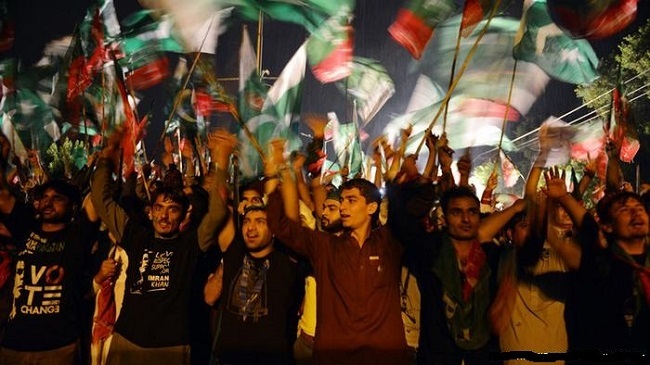 Imran Khan wants millions of followers to join the protest in Islamabad but the fact is that there are only 1.7 million people here in Islamabad.